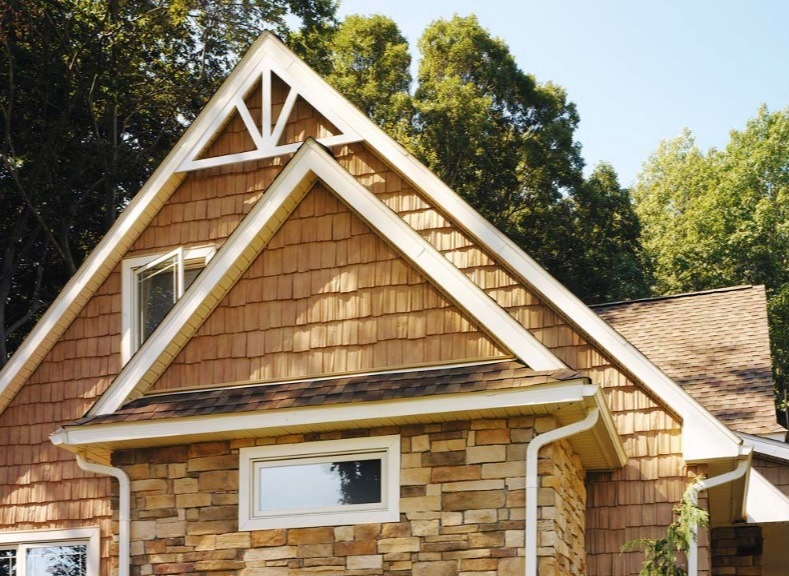 If you want your house to stand out, our Cedar Shakes are perfect for the application. They feature a versatile, warm, and authentic texture. For new construction or older homes, Shakes delivers natural appeal and classic good looks. They come in panels and install just like normal Vinyl Siding. Scores of real cedar molds are used to achieve the shakes’ genuine hand-split appearance with random grooves and grain. Within each shake, textured depth creates captivating contrast between light and shadow. Season after season and year after year, the Shakes hold their rich color. Backed by a manufacture's lifetime warranty and toughness that stands up to the elements, unlike real shakes they never require any sanding, scraping, staining or painting. Available in several different profiles and sizes and colors. Our Vinyl Stone gives looks just like the real thing, but at a fraction of the price. 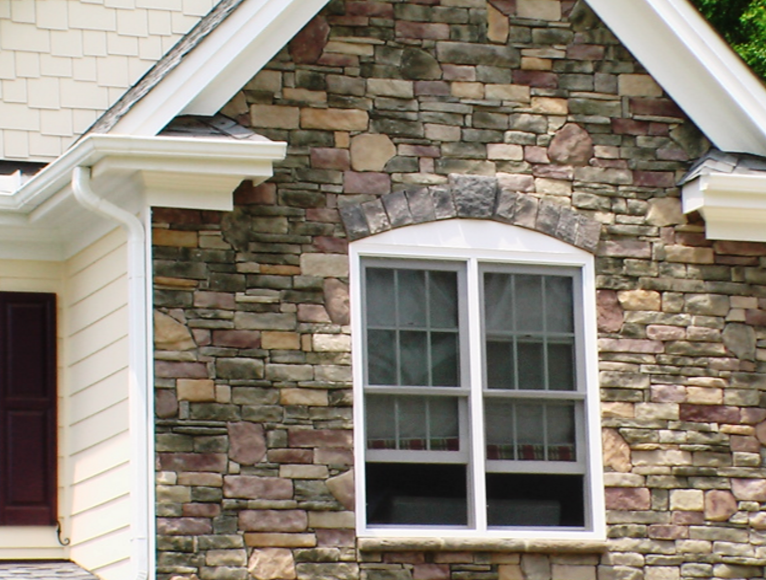 It duplicates the rugged, natural look of real stacked stone and river rock in a variety of colors. It can be used to cover your entire home, or just accent a section. Great for use in gables because you don’t have all the weight of real stone hanging on the structure. Enjoy the super-realism and beautiful detailing of stone together with the durability and easy installation of a siding panel. Our Brick Vinyl Siding replicates the appearance of real masonry at a fraction of the cost. It is Easy-to-install resulting in considerable savings on labor. Ideal for remodeling projects as it requires no modifications to foundation. Also great for accenting gables, or other high visibility areas of the house. Can be used as underpinning. The panels are made of injection molded polymer for superior quality that resists warping and impact at extreme temperature variations. Superior quality coating on blended colors with U.V. stabilizer to prevent discoloration. Accessories are available in matching colors.